Are you considering adding the "wonder spice" turmeric to your diet? 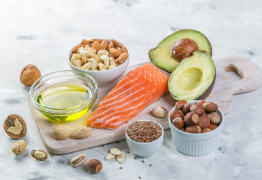 Known for its almost magical health benefits, this super-food supplement has become a top choice for millions around the globe when it comes to maintaining fantastic health. With a long history, this ancient herb grows in the lush plains of India and is frequently used as a spice in cooking and in traditional Ayurvedic healing. Turmeric is one of the most potent natural ingredients out there, with 300+ active compounds including curcumin that work together synergistically to provide its fantastic array of benefits. 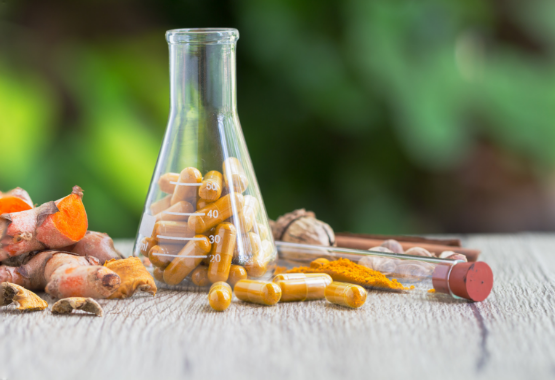 The scientific literature backing up turmeric is extensive, with 5000+ peer-reviewed studies on turmeric alone, and another 10,000+ on its main active ingredient, curcumin. So, if you’re like me, and you love staying healthy and making sure you provide your body with the very best organic ingredients, you’ll surely want to incorporate turmeric into your diet! But there are 3 main obstacles to consider when looking to start taking turmeric. The biggest problem with taking turmeric, by far, is that many people choose sub-optimal methods of incorporating it into their diets. And so, they miss out on all its wonderful benefits! Some prefer just to use turmeric powder in their food or drink assuming they don't mind the taste. This involves making it into a paste and cooking it alongside with oil. If you've had curry, then you know how this works. Your typical curry has 0.5-1.5g of turmeric. Cleaning up the mess after preparing the paste is a hassle. You usually won’t consume as much turmeric as you would need to get most of the benefits. • The body is capable of absorbing nutrients the way nature intended, in the whole herb with the full spectrum of nutrients in their organic form working together. This does not happen with processed curcumin. 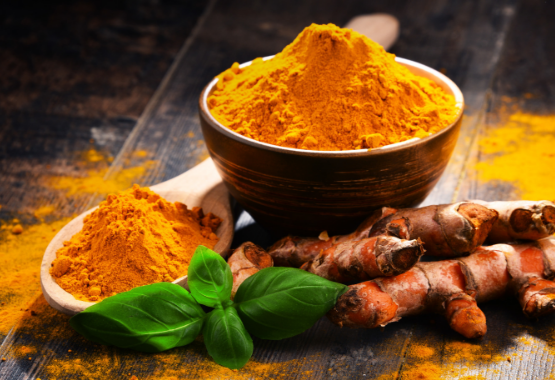 • Studies have shown that even if curcumin is removed from turmeric, the spice still has strong anti-inflammatory properties, which would not be available just with curcumin. • Whereas turmeric has been safely used for over 4000 years, curcumin has not been studied for a long period of time with regards to its long-term use. So be careful of supplements which come in the form of processed curcumin-only, since they won't offer you the full spectrum of benefits that you can get with organic turmeric and don’t have the proven safety either. 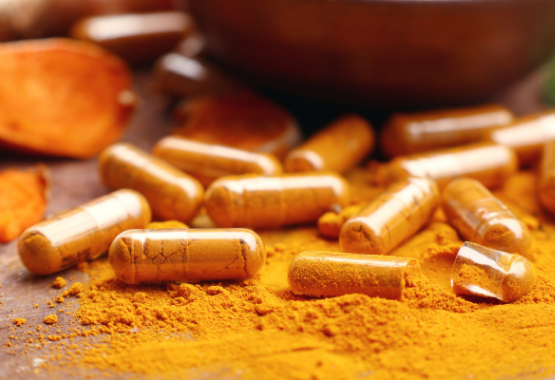 We highly recommend you consider natural turmeric supplements as an alternative. This is the second biggest issue. Naturally, turmeric has a low absorption rate into the blood-stream. It is an organic element with low bioavailability, meaning that it is difficult to get your body to absorb it. Your body naturally eliminates most of the turmeric you take before you can enjoy most of the benefits. Therefore, without increasing its bioavailability, you cannot extract all the benefits. But fret not. 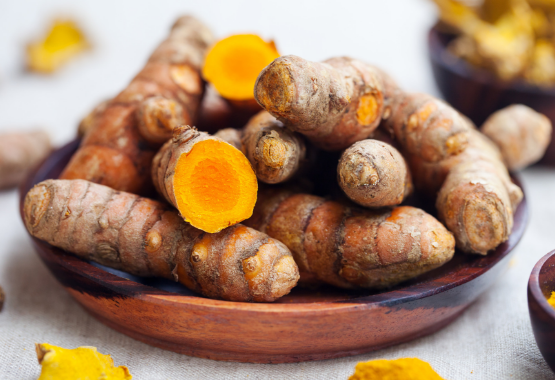 Later in this article, I will show you exactly what you need to increase turmeric’s absorption to 100% organically and naturally – so stay tuned! There is a lack of awareness in the general public when it comes to how much turmeric to take. Therefore, some people take too little, and others too much – both which can be harmful. Those taking turmeric in curcumin-only supplement form tend to take a higher quantity than required. Some scientific studies have indicated that long-term use of large amounts of curcumin can have harmful side-effects including skin rashes, digestive issues and headache or nausea. So that’s why many think that it is safer to take turmeric supplements, and not just curcumin ones. On the other hand, those who cook using turmeric often don’t take enough, especially considering the low absorption rate, to get any of the benefits. To overcome the main problems above, and gain access to the full benefits of turmeric, you need to know 3 things. 1. How much turmeric to take? The first question to address is how much turmeric one should incorporate into their diet on a daily basis to extract all the benefits. Since we’re dealing with a natural ingredient, there are no one-size fits all responses – however, most researchers recommend somewhere between 1-3g/day. 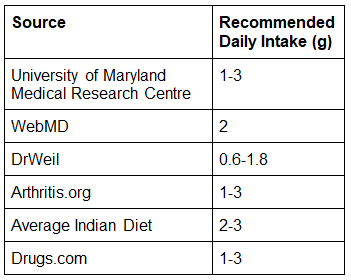 The table to the right summarises recommendations from multiple sources..
To tailor a dosage amount that works perfectly for you, it’s best to consult with your medical provider or otherwise experiment for yourself to see if a dosage closer to 1g per day or closer to 3g per day makes you feel better. 2. How often to take turmeric? 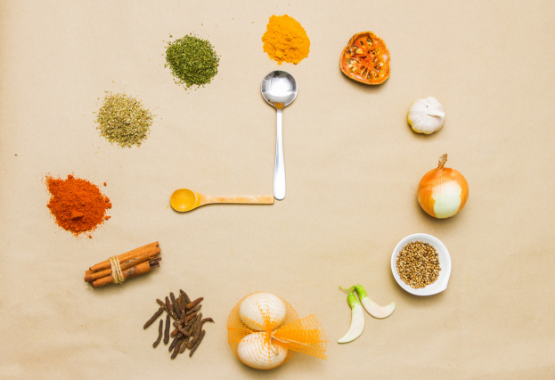 Many of turmeric’s active compounds, including curcumin, stay in your system for 6-8 hours. So, it’s important to leave a 6-8 hour gap at the minimum between different doses of turmeric. Since many people have extremely busy lifestyles, we recommend taking turmeric in the morning and in the evening. This gives sufficient time between the doses and enables your body to maintain a good concentration of turmeric in the bloodstream throughout the day. And that’s not all. In addition, when you have your main meals, you are likely to eat more fat, which increases turmeric’s bioavailability. Nevertheless, in cases where your schedule is different than most people’s, you can choose to take turmeric at different times. So long as you remember to leave at least 6-8 hours in-between, there will be no problems! 3. How to incorporate turmeric into your diet? But just taking the right amount of turmeric at the right times is not enough. The natural bioavailability of turmeric is low, just as we mentioned before. Your body will eliminate most of it unless you combine it with the right support ingredients. 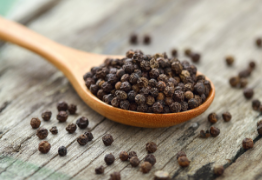 Black pepper is one of the most commonly available spices around the globe. It contains a very potent compound called Piperine which has been shown to increase the absorption of turmeric and its compounds by up to 2000%. This means that this ingredient is ideal to incorporate into your diet along with turmeric to make sure you get to enjoy all the benefits. Turmeric's active compounds are all fat-soluble, meaning that your body absorbs them very easily when they bind to fat. This means that it's convenient to take turmeric along with your main meals of the day: breakfast, lunch or dinner. This usually guarantees that there will be enough fat along with the turmeric to boost absorption. 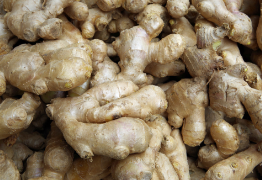 Ginger root is a spice that is closely related to turmeric, native to Asia and commonly used for cooking. Ginger has a strong reputation for its powerful antioxidant and anti-inflammatory properties which help maintain a smooth digestion. When combined with turmeric it works synergistically to enhance its benefits, especially for your digestive system. Easily fit with your lifestyle. Not require extensive preparations or clean-up. Contain actual organic turmeric, not merely processed curcumin. I started Turmeric Vitality to produce a simple way of taking turmeric, that anyone, regardless of how busy their lifestyle, could take to enjoy the benefits. Our 100% organic turmeric capsules overcome all the issues mentioned above and much much more! In fact this is why we have managed to grow into the UK’s leading specialist in organic turmeric. The most complete formula that enables you to take advantage of turmeric’s fantastic benefits is Turmeric Vitality’s 100% Organic Turmeric. I gathered together some of the best minds in the field of nutritional supplements to produce this wonderful product. It overcomes ALL the problems mentioned before. It’s so good, that I use it myself on a daily basis! In addition, these certified organic high strength turmeric capsules can be taken with any meal at any time of the day, no preparation, no mess, no taste. You can easily take up to a teaspoon of turmeric with only two servings of capsules. This is not a curcumin-only supplement, and therefore it gives you access to the full benefits of turmeric. None of the risks associated with curcumin only supplements. Just 100% pure, organic turmeric! The capsules also incorporate the PERFECT amount of organic black pepper to assist the absorption of turmeric into your bloodstream. This will ensure that you don’t flush out the turmeric from your system before you enjoy all the benefits! Not to mention this other wonder-spice to benefit your digestion and make the absorption process run smoothly. Just Take It With Your Main Meals – Super Simple Stuff! Get The Results You Want Or 100% Money Back! And what’s more, with Turmeric Vitality, it's all a straightforward choice. You either get the results you're looking for out of turmeric, or you have a 100% Money Back Guarantee in the unlikely case that you’re not happy after 30 days of trying the capsules. This makes Turmeric Vitality a ZERO risk choice. But if you’re anything like me, then after 30 days you’ll absolutely LOVE IT!